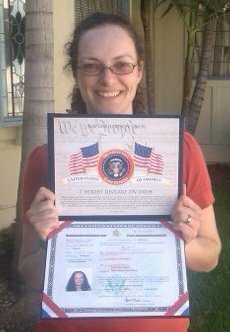 Today I became a naturalized citizen of the United States of America. I am truly proud to be an American. This country has welcomed me, loved me and encouraged me to be the very best version of me that I can be. This country has shown me what it means to be HOME. And God bless our troops who fight so that we can have freedom such as this.